Size: 12 X 12 in. Special limited edition artist book features a Flohr canvas print archivally mounted to the book's front cover. This Michael Flohr image won't be available in any other format. Large format coffee table book comes complete with wood display easel and handling gloves. Four gift prints are included with each Flohr book. We recommend that collectors purchase the regular edition volume for reading. 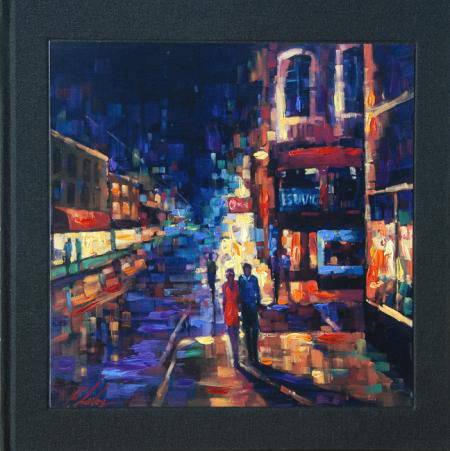 This collector's edition of "City Expressions" is already half sold-out, so please call to get yours today.